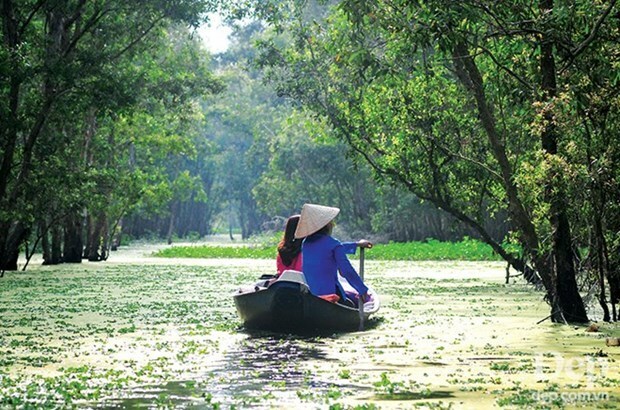 An Giang (VNA) - The tourism sector of the Mekong Delta province of An Giang aims to welcome 9.2 million tourists and earn 5.5 trillion VND (over 237.1 million USD) in 2019. To realise this goal, the sector will focus on attracting investment for upgrading and developing infrastructure in key tourism sites, and promote development links with other regional localities such as Can Tho, Ca Mau, Kien Giang, Bac Lieu, Hau Giang and Soc Trang to create attractive products. Attention will be paid to promoting the image of the locality and its tourism potential in and outside the country, while creating favorable conditions for enterprises in this field to invest in expanding and the forms of culture, resort and and eco-tourism. An Giang is also calling for investment to developing large-scale modern entertainment centres and introducing incentive policies for tourism development to attract more investment in the field. According to Vice Director of the provincial Department of Culture, Sports and Tourism Pham The Trieu, An Giang received about 3.2 million domestic and foreign visitors in the first quarter of this year, up 10.34 percent year-on-year. The locality earned 1.85 trillion VND from tourism activities in the period, 23.33 percent higher than the same period last year. At present, An Giang has 90 accommodation establishments for tourism and 21 travel agencies. The locality boasts 15 tourism sites, including one provincial-level tourism area and one national tourism site.